LG Home Appliances in its commitment to empower women with its smart home technologies launches the LG Laundry Love, an advocacy that aims to give men the equal opportunity that they can also do "tough" chores at home such as doing the laundry. Of course, this is in response to the gender equality when it comes to doing house chores and moving away from the stereotype that Filipino women are tasked with doing the house chores. Coincidentally, March is National Women's Month and LG is doing its best to help empower women by providing state-of-the-art technology when it comes to their line of LG Home Appliances like the LG Washing Machines that are powerful and packed with innovative features. 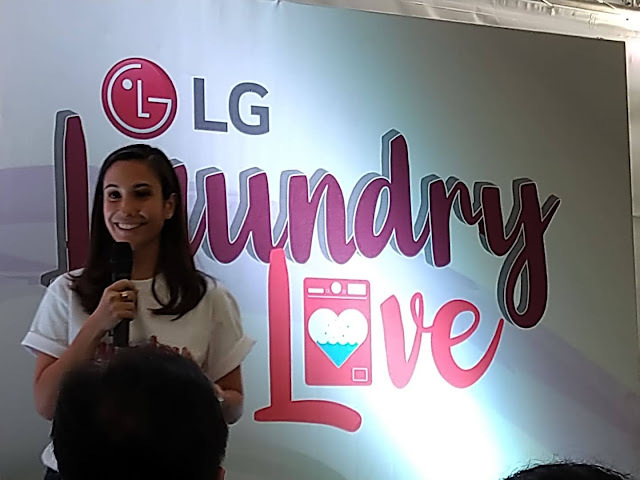 Stephanie Zubiri-Crespi, ambassador of LG Home Appliances shared her story about how easy it is to do laundry using LG Front Load washer especially that you can actually do your laundry using the Washer App. How cool! It is very easy to multi-task such as playing with kids or cooking because you can just check the status of your washer thru the app. 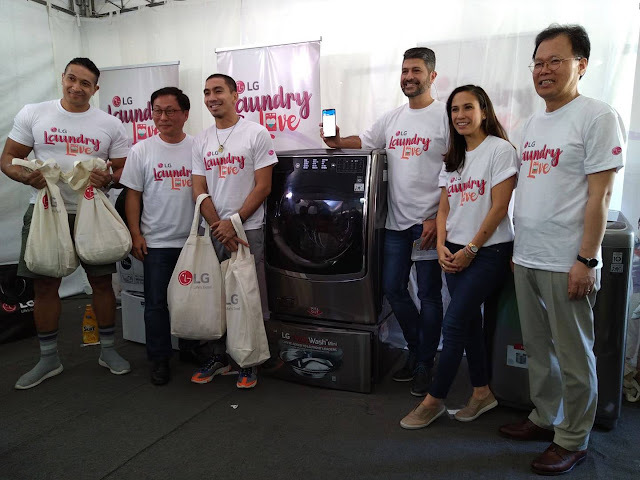 PBA's LA Tenorio, actor Eric Tai, and James Deakin who are known to be alpha-males joined the LG Laundry Love campaign because they simply believe and marvel the LG's technology. LA values his time with the family especially after a very hectic game schedule. And he finds LG Twin Load washer perfect for his needs as he can simply throw in his jersey and his children's clothes at the same time while spending quality time with them. He is also amazed that with LG smart technology, it is easier for men to get involved with the "dreaded" house chore of doing the laundry, and it is not dreadful after all. 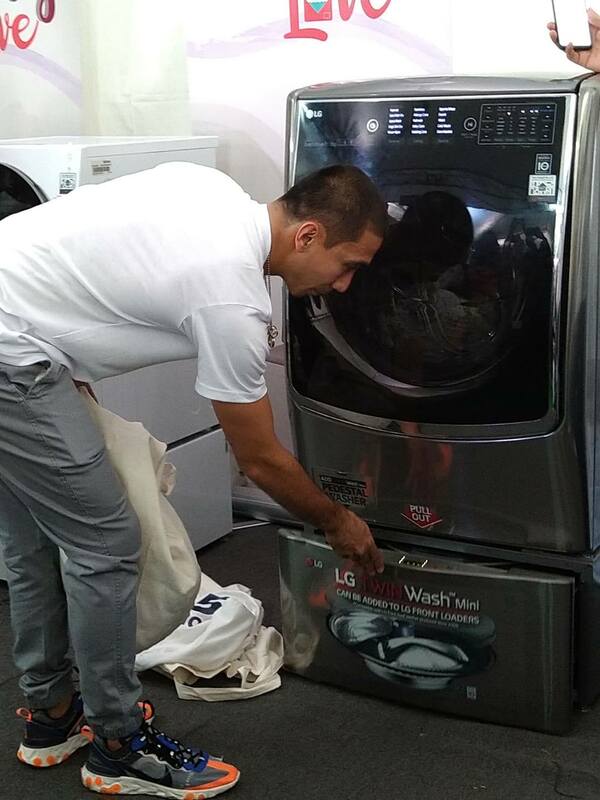 The LG Top Load washer with its Baby Steam Care function is also very useful for Eric who is helping his wife taking care of their infant. The LG washer deep cleans baby clothes and has an Allergy Care that removes 99% of allergens to care for his infant's sensitive skin. "AT LG, we believe in using technology to simplify life and to save time. our washing machines are top-of-the-line products that are designed to make doing the laundry less complicated and more energy efficient. 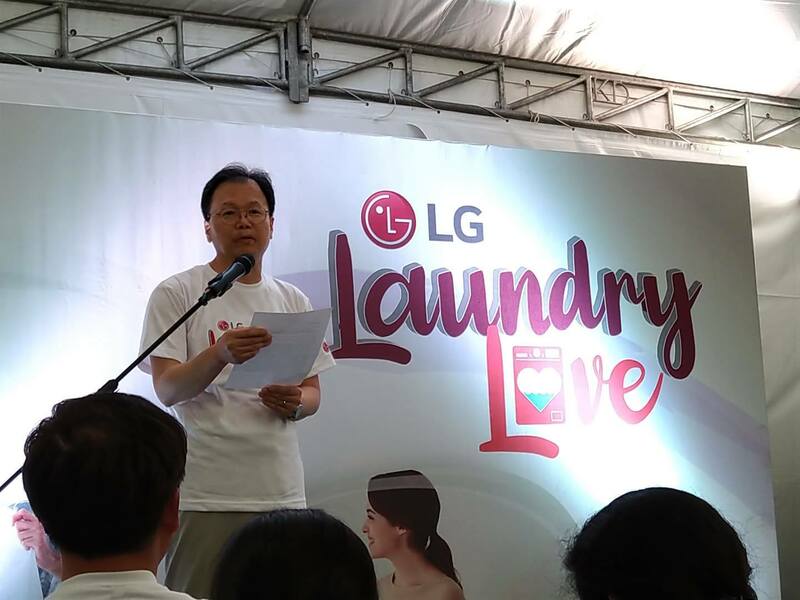 It is our hope that the men of the household will see doing the family laundry less as a chore, but more as a way of showing support for their loved ones," said Inkwon Heo, LG Managing Director. 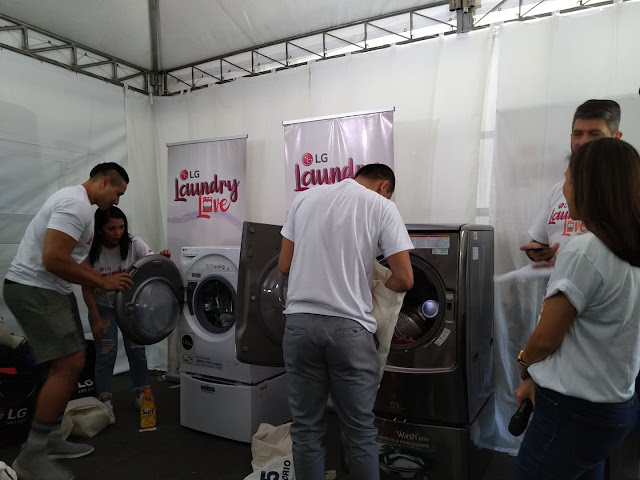 With LG's Laundry Love campaign, the menfolk are encouraged to contribute and share in running the household by doing actual house chores. With this campaign, it aims to break the traditional gender roles in doing house chores, thus instilling values in children that even fathers can do house chores or rather, enjoy sharing tasks at home with their wives. In line with this campaign, LG opened its doors to the residents of Maybunga, Pasig City to do their laundry at the LG office and use their powerful washers. This is also the company's way of giving back to the community by ensuring that they can have access to clean laundry especially now that there is a water crisis in the area. LG will also have their mobile laundry van visit different barangays in Metro Manila soon.